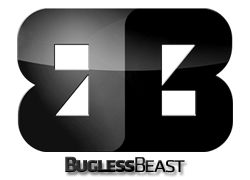 Bugless Beast V0.5 is Out! Pete finally returns after a long layoff and just so happens to bring a new version of Bugless Beast, his incredibly popular Droid 1 ROM. This comes packed with some feature that I’m not any of us have even dreamed of, and trust me when I say that that is a good thing. Since I’m in San Francisco, I haven’t had a chance yet to flash this so I’m curious to know from all of you how it’s going. Pete’s ROMs are always top notch and this version has had a ton of buzz surrounding it. Go get it! Read the full ROM write up at Pete’s blog. Changelog here. Anyone running this yet? Let me know what you think! Thursday Poll: Thoughts on 2.2 for the DROID X?